Hero Boy discovers the Polar Express in his front yard. Image courtesy of lakeshorecap.org. The Polar Express is a 2004 computer animated fantasy Christmas film based on the children’s book by Chris Van Allsburg. The film features human characters using live action movements of the live actors into three dimensional animations. The film stars Academy Award winner Tom Hanks, who plays six distinct roles including the conductor, Daryl Sabarawho plays Hero Boy, and Nona Gaye, daughter of the late legend R&B soul singer Marvin Gaye. The film is about a young boy on Christmas Eve who questions his belief in Santa Claus. He is awaken by a train called the Polar Express that stops in front of his house, where the conductor informs him that they are heading to the North Pole. He at first refuses to board the train but eventually gets onboard. While riding on the train he encounters a young girl who truly believes in Christmas, a know-it-all boy and another young boy named Billy who also questions his belief in Christmas. While on this magical adventure to reach the North Pole hegoes through a heck of ride by meeting a strange hobo on top of train who is to believed to be his guardian angel and finding and losing a special golden ticket. The silver bell can only be heard by those who truly believe. Image courtesy of ghsgazette.net. 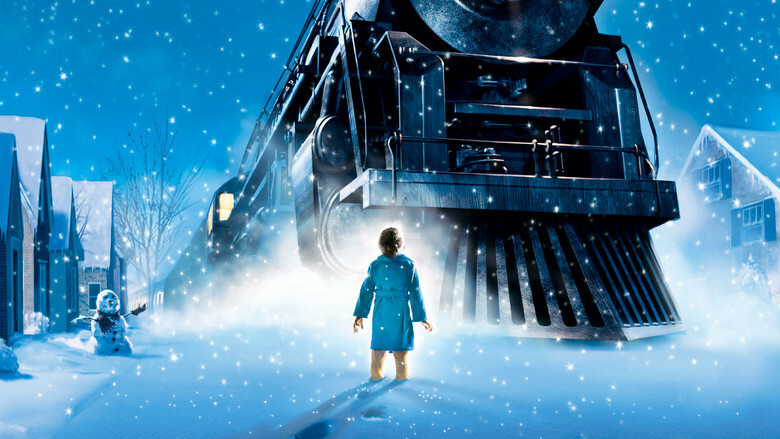 The Polar Express in IMAX 3-D version is the best way to see this fan-favorite holiday movie. This film is personally my favorite Christmas movie to watch around the holidays so I already knew that the film was already a great movie, but watching it in IMAX made it truly amazing. While watching the movie I felt like I was in the movie riding on the magical train. My personal favorite thing about watching it was feeling connected to scenes of with dancing hot chocolates waiters and when the train was gliding on an icy cold river. The movie was filled with action-packed scenes with intense dramatic points backing up the film’s story plot. The movie really shows you true meaning of Christmas spirit and why it so important to believe in the most impossible things in life.